Nearly nine in 10 Canadian employees believe goal-setting is important to their performance on the job, but only 34% discuss their progress with their managers and 14% never raise the topic at all, a survey by staffing group Accountemps revealed. "Setting goals at work encourages professionals to regularly reflect on their growth, evolve their objectives and establish a defined roadmap for career advancement," said Dianne Hunnam-Jones, Canadian president of Accountemps. But professional development can't occur in isolation, she added. Managers can “help identify new challenges and opportunities that that align with [workers’] goals, and provide access to the resources [they] need to reach them". 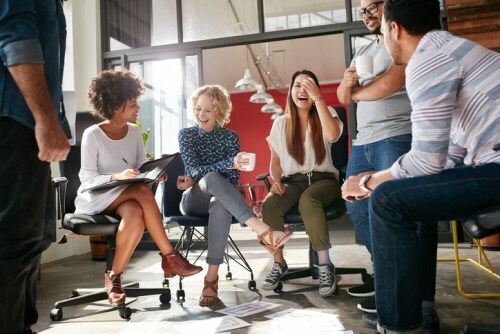 The survey revealed that younger workers are keener than their older counterparts on setting work-related performance goals, with 54% of millennials saying it was “very important”. However, just 40% of baby boomers said the same. Slightly more men (37%) than women (32%) discuss performance goals with their managers at least monthly, while 19% of female workers do not bring them up at all. Nine percent of male respondents also said they never talk about their goals with their manager. They survey was conducted among 350 Canadian workers, 18 years of age or older and employed in office environments. Accountemps offered some advice for employers and managers on getting their staff to open up about their performance goals, which we have set out below. Setting targets is not an activity one can do alongside other tasks or even during coffee break. Allow your staff some quiet time to remove distractions so they can think about their career path and their current job. Ask your staff to identify a small number of goas to tackle at once. Tell them that the objectives have to be specific, quantifiable, realistic and timely. Emphasize the importance of a deadline. Encourage them to begin with the destination in mind – and then, work backward. They should determine their long-term goals and then outline a series of smaller tasks to help them reach these. Show your staff they can come to you anytime they need to discuss their path, professional success and job satisfaction. Together, determine how individual goals align with department and company objectives. By writing down their goals, employees can review them regularly and hold themselves accountable for them. This will help them stay on track.